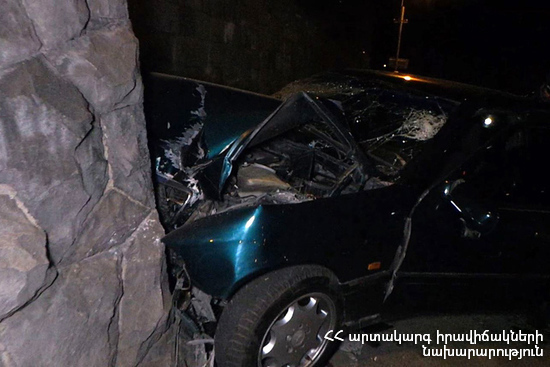 On April 10, at 22:04 an emergency call was received to “911” service that a car accident had occurred near the military unit of the police on Isakov avenue, Yerevan: the rescuers’ help was needed. It turned out that “Mitsubishi Colt” car (driver D. D. born in 1993) had run off the roadway and crashed into a concrete barrier. The driver was hospitalized to “Armenia” republican medical center and getting necessary medical aid was discharged.